Say your spouse is serving time in prison and you want to divorce him. Can you serve the divorce papers to him in prison? Or does that have to go through his lawyer (if he even has one)? Or maybe you have decided to bring a civil case against someone who was convicted of criminal wrongdoing against you and is already in prison. How do you handle service of process? Before a process server can be cleared to conduct business in a prison, they have to undergo a criminal history background check from the National Crime Information Center. A professional AZ prison process server will have already cleared this hurdle to conduct business in all the local prisons so that there are no delays to the service. You don’t want to hire someone and then find out that they have to clear the background check before they can do anything. Sure, the person you want served may be stuck in prison, but they may be busier than you would think. Inmates go to counseling, have work duty, and may attend classes or addiction programs. A Chandler process server can’t show up at anytime and expect to meet with the inmate and deliver those papers. Experienced professionals know this, and they will take the time to find out when the inmate will be available so as to avoid giving the person a head’s up that they are going to be served and opportunity to try to avoid the process server. An inmate could easily ban visitors or find ways to be busy when visitation is expected, thus thwarting the process server’s efforts. Anyone who enters a prison is subject to the rules and routines of the prison, which have been designed to ensure the safety of everyone there. Every prison has its own rules about the kind of attire you can wear and the items you can bring in. For example, some prisons ban wearing certain colors that could be associated with a gang or ban wearing colors that are worn by the inmates, so as to distinguish the visitors. Contraband like cell phones, cameras, and recorders may also be banned, even for AZ process servers. A professional prison process server will know the rules of the prison and have a system in place for securing proof of process of service. In some cases, the server may be cleared to have an item like a cell phone if he or she has an established relationship with the prison or has cleared some other obstacles. Serving an inmate with court papers may pose some extra challenges, but these are easily overcome when you work with the right process serving company near Chandler. Above all, it is important that you don’t try to serve these papers yourself, even if the inmate is someone you know and does not pose a personal threat. Prisons are dangerous places, and there are many logistical challenges to serving papers in the prison. These challenges present many opportunities for you to make a mistake that may cost you the case or could cause you many delays that also add to your legal expenses. ASAP Serve is an established and reputable process serving company in Arizona. Our AZ prison process servers have all been cleared to conduct business in the prisons in the areas that we serve across the state. They are ready to serve inmates quickly so that your case can proceed as needed. 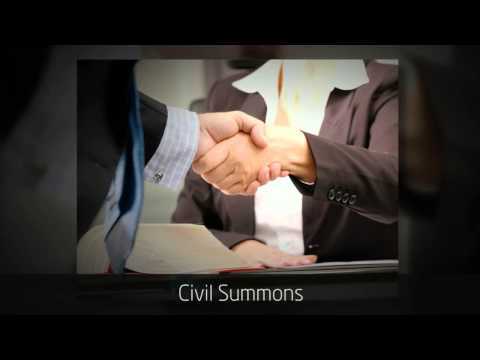 Our servers work with attorneys, individuals, corporations, and other organizations. They can serve inmates as well as people living anywhere in Arizona. Our three-step process makes getting your service of process completed easy. Call us in Arizona today to talk about your service of process needs, and let us take care of it for you!